School’s out—let’s rock out! 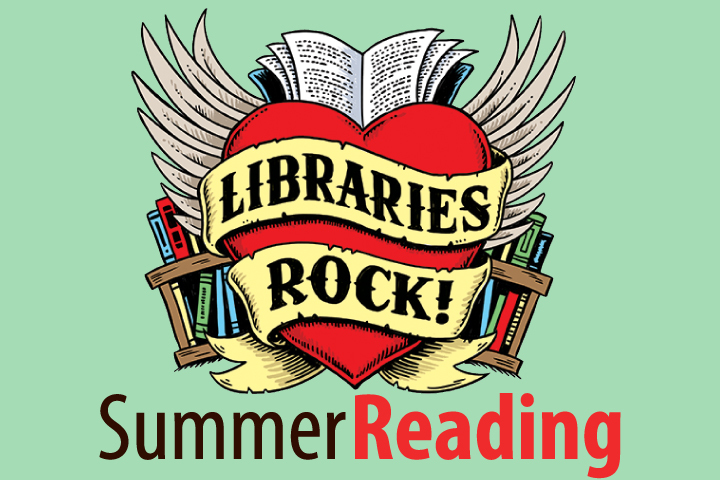 From rock painting to rock climbing, and drum making to lip syncing, Deschutes Public Library’s Summer Reading Program will give Central Oregon teens more than a dozen ways to explore new interests in the world of rock and rocks. Teens can also play the Libraries Rock! reading game this summer for a chance to win a $100 gift certificate iTunes or a local bookstore—all just for reading! (Game sheets are available at your local library.) All programs are free. Programs marked with an asterisk require advance registration (www.deschuteslibrary.org/events). Find your center painting mandalas and decorating rocks. No need to hunt for these designs or rocks. Chill out and distress while creating your own soothing mandalas paintings, and learn the basic tips and tricks of rock painting. Ready to rock your world? Visualize your goals and dreams using art supplies and photography. Spend time finding words and images that capture what you see for your future. All art supplies are provided; teens can also use the library’s Fuji Instax cameras to incorporate photography into their vision board collage. This is a walk-in program, no registration required. What is sound? How are frequency and pitch created differently with drums, strings and wind instruments? Join Matt Gwinup, musician and instructor at Cascade School of Music, to learn about the science of sound. You’ll make a musical instrument and have a chance to try playing drums. Celebrate music, and let your creativity shine. Tweens and teens will have the opportunity to make unisex bracelets out of guitar picks and leather during this hour-long program. This guided painting experience with an artist from Splash WPC will walk teens step-by-step through the process of creating a beautiful mountain scene to take home. Registration required. Create a unique accessory! The DIY Cave will provide all materials and tools needed for teens to make their own leather bracelet creation. Registration required. Tweens and teens won’t have to journey to the moon, or wait millennia for this program! Spend an hour making your own moon rocks out of glitter and DIY play-dough, and form shark tooth geodes from salt dough and real shark teeth. Are you ready to rock? Make your own Cajon! Cajon drums are traditional, box-shaped percussion instruments originating in Peru. Learn how to build one of these drums, and a little more about the culture from which it arose. You’ll also get to practice basic rhythms to get you started. All tools and supplies provided. Registration required. Be a music maker! Build DIY instruments. Get your groove on and make some noise in the library. Tweens and teens will make traditional spin drums, lid banjos, and African thumb pianos out of upcycled materials. Sometimes life feels like a rollercoaster. Learn how mindfulness can help you enjoy the ride, even the hard parts. Learn to trust your own experience, eat chocolate (yes, eating chocolate is a crucial skill in mindfulness!) and grab some inner peace. Wear comfy clothes, bring a journal and pen. Chocolate will be provided. Registration required. Spend an afternoon climbing! Teens can spend the afternoon rocking out at Bend Rock Gym. No previous experience necessary, equipment provided. Parent/guardian must sign waiver if teen is not already in BRG’s system. Registration required. Don’t miss out on another chance to celebrate music and let your creativity shine. Tweens and teens will have the opportunity to make individualized bracelets and keychains using sea glass, rocks, string and wire during this simple introduction to jewelry making. You can make all sorts of crafty items with rocks! Paint them for your garden, be part of the Redmond Rocks movement, or make a variety of travel games like mancala and tic-tac-toe. Obsessed with YouTube hits Carpool Karaoke or Lip Sync Battle? Come sing (or sync) it out! This is a walk-in program, no registration required. For more information about these or other library programs, please visit the library website at www.deschuteslibrary.org. People with disabilities needing accommodations (alternative formats, seating or auxiliary aides) should contact Heather at 541-617-7099.